You are here : Home / Blog / Kitchen / What Makes Cultured Marble a Great Countertop Material? Like granite countertops, cultured marble pieces are built to last. They’re not immune to destruction, but they’re not as susceptible to damage as naturally occurring materials. Actually, cultured marble doesn’t chip as easily as quarried slabs of stone. Cultured marble is a “set-and-forget” kind of countertop material. It needs wiping after use, but its impervious nature makes it inherently resistant to stains. Being non-porous, it doesn’t require sealing at all. Unlike tiled countertops, cultured marble pieces have a solid surface. You can prepare food on them without worrying about scrap getting stuck in grout joints. As long as you use non-abrasive cleaning products, your cultured marble countertops will be spotless and hygienic. 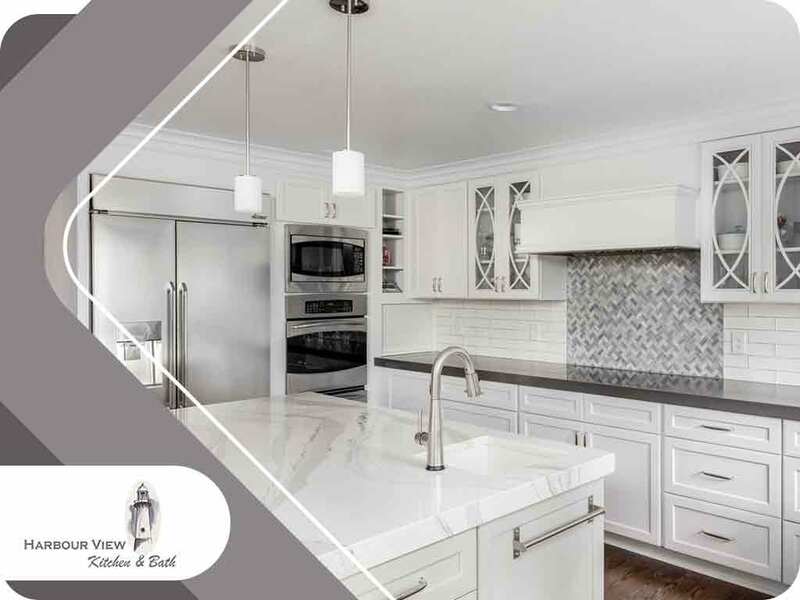 Harbour View Kitchen and Bath attests that this material offers the impressive look of natural stone at a fraction of the cost. Choosing cultured marble allows you to free up more funds you can spend on bathroom or kitchen cabinets. You may know that cultured marble is manufactured, but casual observers wouldn’t be able to tell. Many budget-conscious homeowners turn to this material to give their space a stunning makeover the cost-effective way. Cultured marble pieces come in an extensive range of colors and patterns through the masterful use of pigments. They’re cast in molds, making it easy to fit them to kitchen and bathroom cabinets of all sizes. Is cultured marble the right countertop material for you? Call Harbour View Kitchen and Bath at (757) 644-0848 today to set up your appointment and discuss all of your options. We proudly serve homeowners in Chesapeake, VA and the other surrounding communities.